This is Pelosi's reality show debut. She previously appeared as herself on "30 Rock." 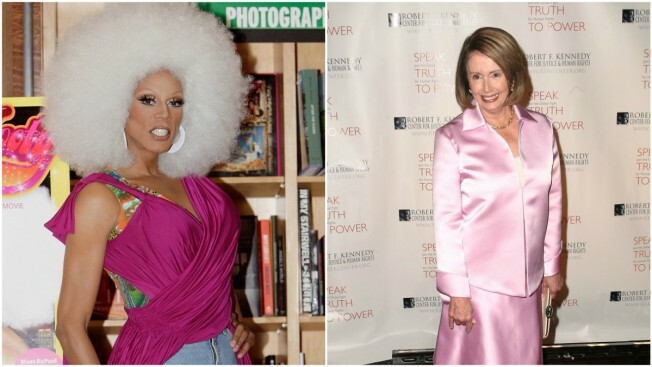 Nancy Pelosi is heading to the "Drag Race." The congresswoman will guest judge the new season of RuPaul's Drag Race All Stars. Vanessa Hudgens, Tituss Burgess, Kristin Chenoweth, Marc Jacobs, Shay Mitchell, Chris Colfer, Vanessa Williams, Adam Lambert, Constance Zimmer, Emma Bunton, Todrick Hall, Garcelle Beauvais, Jeffrey Bowyer-Chapman and Nicole Byer will also judge the third season of the VH1 competition series. Michelle Visage, Carson Kressley and Ross Mathews return alongside RuPaul, of course. The new season kicks off with a 90-minute premiere on Thursday, Jan. 25 at 8 p.m. on VH1.